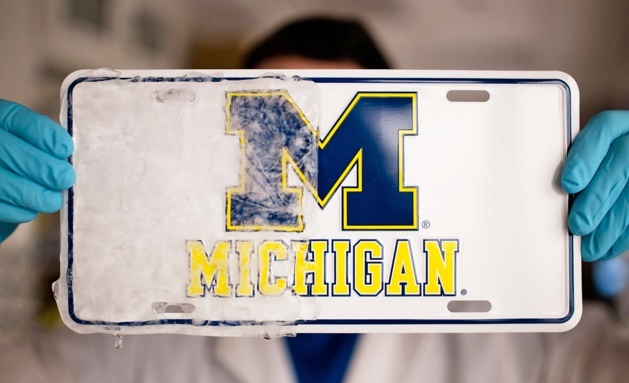 Researchers at the University of Michigan have developed a special material that can repel ice- a savior for your car windshields for those freezing days of the year. The researchers have been successful in developing an ice-repellent material that can wipe off hard frost from glass, car windshields and many such surfaces. The icephobic material will have to be applied on cars, aircraft surfaces when extreme freezing temperatures cause ice to accumulate and adhere hardly to the surfaces. When ice adheres to the surface, it becomes hard as hell and difficult to remove it off. Scientists have devoted themselves in getting a hold on the chemistry of ice adhesion since several years. The phenomenon of ice getting hardly attached to glass surfaces is called interfacial cavitation. Anish Tuteja, Assistant professor of Material Science and Engineering department of the University of Michigan says that the discovery of the material was fortunately, kind of accidental. Since then, his research group has been working on developing the icephobic material so that scraping your car windhshield becomes a thing of the past. Till now no material, other than this, has been able to survive extreme weather and ice challenges. Hundreds of materials have been used for the same purpose and only this one has proved to be efficient and durable. The physics behind the icephobia of the material is gravity. Well, the entire process of development is not that easy but the base of it is something that we all know. Once the project is complete, the icephobic material can serve a plethora of purposes and will find applications on cars, glass, aircrafts, wind turbines, boats and ships. The substance is elastic just like rubber, so when the heavy ice accumulates on the surfaces of cars, the rubbery icephobic material gets deformed and the ice slides off. Check out the video below to get a better understanding.